A relative of the piranha the dramatic looking tiger fish, with its long, sharply pointed teeth, is an appealing option for those who want to do something exciting with their aquariums. These fish need a lot of space and can be expensive to look after, so you shouldn't take them on unless you're sure you know what you're doing. However, they are hardy and relatively easy to care for, and their longevity means that you'll have plenty of time to get to know them. 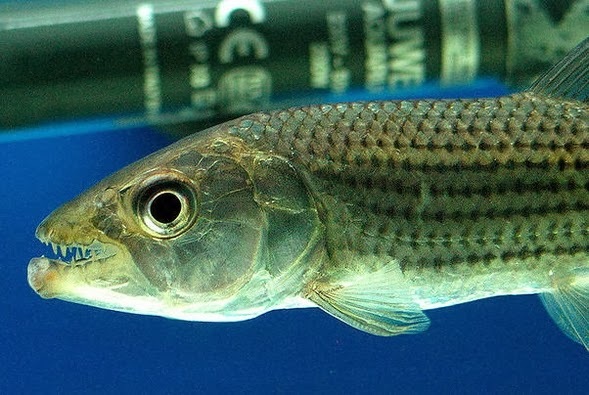 Tiger fish need a brackish environment at approximately 1.5% salt. Naturally, this limits your options when choosing other fish to keep with them, though they are generally peaceful towards any companions who are too big to eat and they can get along well with large catfish. Although they are happy enough when solitary, they can also be kept successfully in a single species tank. However, they can grow to as much as thirty inches in length and they're quite active, so you'll need to have plenty of space for them. They need a fairly complex environment with several hiding places and they prefer subdued lighting. Floating plants which break up the glare of the aquarium lights are a good idea and will help them to feel more secure. 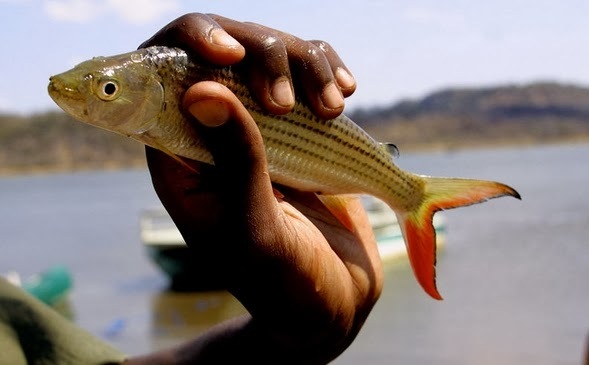 Tiger fish are voracious carnivores and will eat all types of meaty food, such as shrimp, crustaceans, earthworms and pieces of beef heart. They prefer live food and particularly enjoy fast-swimming smaller fish. Enthusiastic hunters by nature, they can sometimes become frustrated with the ease of finding food in captivity, and can stop eating, in which case you should present them with challenges such as fast-swimming prey in an environment full of hiding places. Sometimes they will accept tubifex and pellets. A varied diet is important to make sure they get all the vitamins and minerals they need.